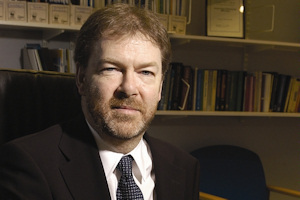 A Manchester professor who leads the National Suicide Prevention Strategy for England has been appointed as a non-executive director on the Board of the Care Quality Commission (CQC) – the organisation which checks whether hospitals and care homes are meeting national standards. Professor Louis Appleby, Professor of Psychiatry in the Institute of Brain, Behaviour and Mental Health at the University of Manchester, joins five senior figures with a wide variety of professional experience taking up the new role. Professor Appleby, currently national clinical director for offender health, was selected for his experience in mental health and research on patient safety. He is Director of the National Confidential Inquiry into Suicide and Homicide by People with Mental Illness and an honorary consultant psychiatrist at the Manchester Mental Health Partnership. • Michael Mire, currently a senior partner at McKinsey & Company, where he has over 30 years of experience. The CQC has a wide range of enforcement powers to take action on behalf of people who use services if services are unacceptably poor.